Sorry this is a bit on the delayed side. I’ve had my head in the clouds all week, revising hard for my first WSET Diploma exam on Monday morning. I think it’s going in, but it’s a mazing how time just gets away from you, not just in terms of packing in the knowledge, but finding the time to write the blogs. I always think the food post is the most important, so I’m making sure this one’s going out! Beaujolais is tucked up in the East of France, just south of Burgundy, and just north of the start of the Riviera. We’re deep in the French countryside here, so for a bit of inspiration I thought I’d dig out a cookery book that I’ve (unforgivably) not used in ages. 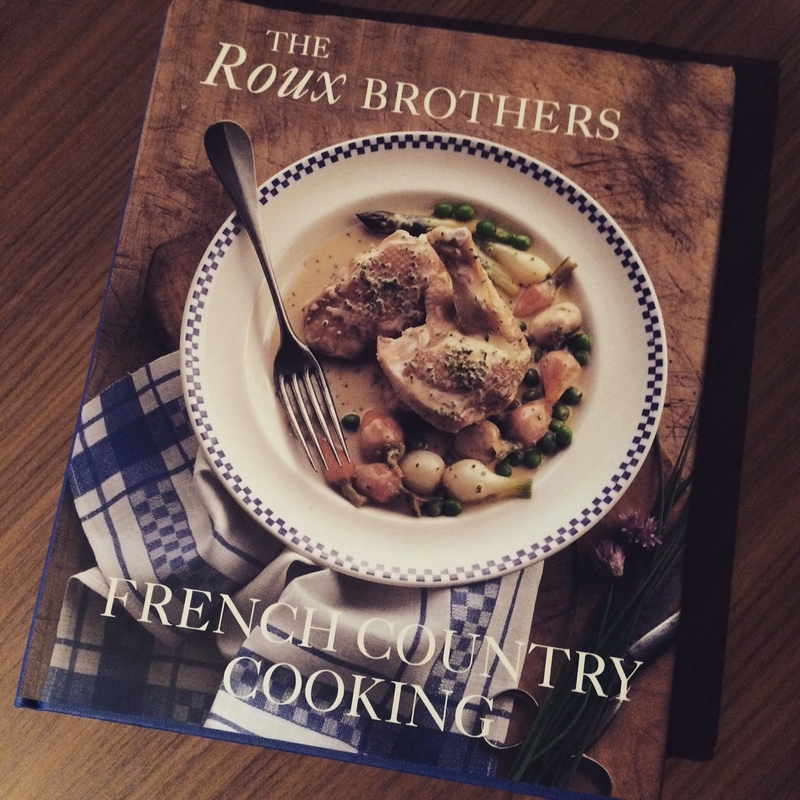 The glorious “French Country Cooking” by the incredible Roux Brothers. I headed down towards the Lyonnais section and came across this recipe for Poulet Au Vinaigre. That translates directly to Chicken in Vinegar, so let’s just use the French, eh? It’s actually a white wine and white wine vinegar sauce, but hold on! It’s light, it’s acidic (in that it’s refreshing), it won’t leave the missus and I too stodged. With the Beaujolais, I want the light and refreshing food to allow the fruit of the wine to be at the forefront of the dinner. The colour will be vibrant (from the carbonic maceration), but the body should be light, so it won’t clash with a light dinner. Get the salt and pepper right and I reckon we’ll be onto a winner. #NWTW 57 – How Do I Describe Carbonic Maceration? Ahh huge good luck on your exam. At least you are eating and drinking well. Cheers, it’s Unit 2, I’m just winding myself up about the things I do and don’t know at the minute, just want it over with!! Breakfast is one of the best times for Beaujolais, that’s why they both start with a B…true story! ← #NWTW 57 – How Do I Describe Carbonic Maceration?